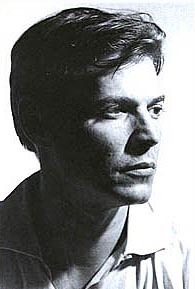 Born in the Tijuca neighborhood of Rio, Jobim originally was headed for a career as an architect. Yet by the time he turned 20, the lure of music was too powerful, and so he started playing piano in nightclubs and working in recording studios. He made his first record in 1954 backing singer Bill Farr as the leader of "Tom and His Band" (Tom was Jobim's lifelong nickname), and he first found fame in 1956 when he teamed up with poet Vinícius de Moraes to provide part of the score for a play called Orfeo do Carnaval (later made into the famous film Black Orpheus). In 1958, the then-unknown Brazilian singer Joao Gilberto recorded some of Jobim's songs, which had the effect of launching the phenomenon known as bossa nova. Jobim's breakthrough outside Brazil occured in 1962 when Stan Getz and Charlie Byrd scored a surprise hit with his tune "Desafinado"--and later that year, he and several other Brazilian musicians were invited to participate in a Carnegie Hall showcase. Fueled by Jobim's songs, the bossa nova became an international fad, and jazz musicians jumped on the bandwagon recording album after album of bossa novas until the trend ran out of commercial steam in the late '60s.